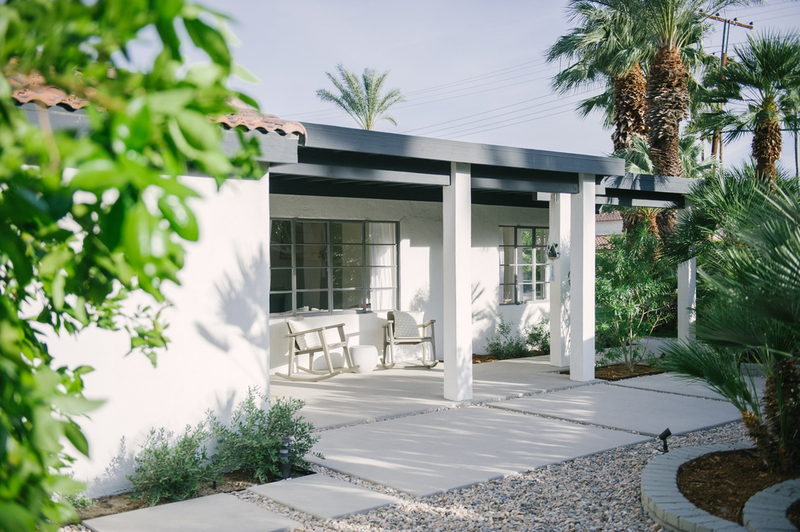 Sister property to The Amado, The Junipero is an exquisite 6 room boutique hotel, drawing its influence from Mediterranean architecture, a relaxed Moroccan lifestyle and Palm Springs Artistry. 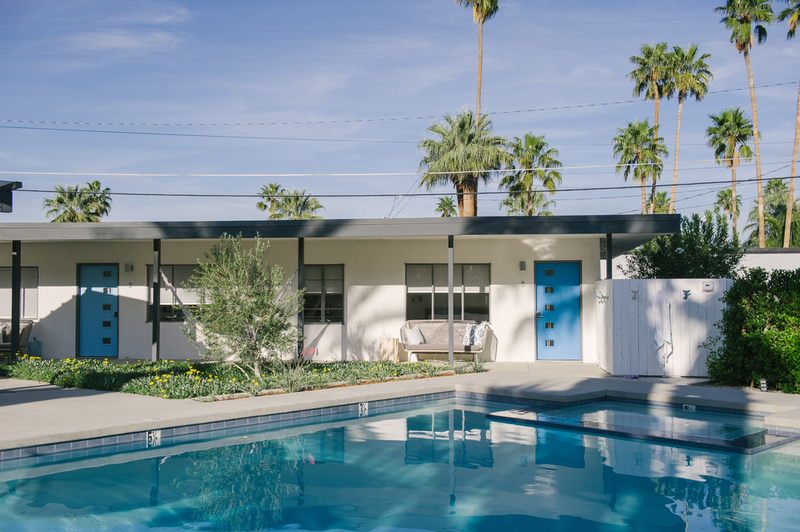 A true desert oasis of sheer whites and hues of blues, The Junipero has been beautifully renovated and carefully curated with natural and organic textiles, plush soft goods, high-quality furnishings, custom-built dining areas, and thoughtful and charming art. This Modern Spanish Colonial compound has a historic main house and 3 suites which all share a stunning new aquamarine pool and spa, a vast outdoor space featuring multiple sitting areas, a covered dining area for 12, as well as a custom built fire pit to revel in the spectacular views. 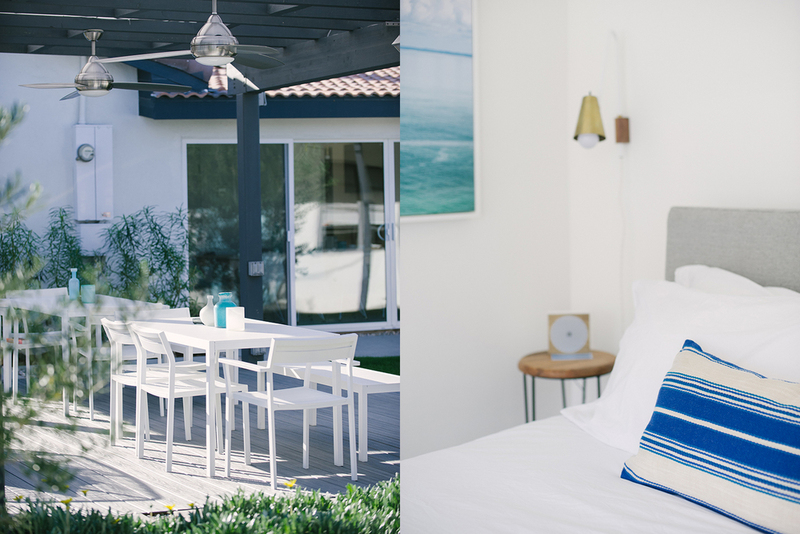 The Mediterranean-style boutique accommodations can be rented as three individual units, and one individual main house, or as a single property hosting twelve people at a time - perfect for retreats, reunions, celebrations and holidays. The main house is 1600 square feet, offering two king bedrooms each with a private patio and outdoor shower, a bright and cozy living room with a fireplace and 55'' Smart TV, a lovely built-in breakfast nook, a full size kitchen, washer and dryer, and a dining room boasting a wall of sliding glass doors and seating for 10 overlooking the courtyard. 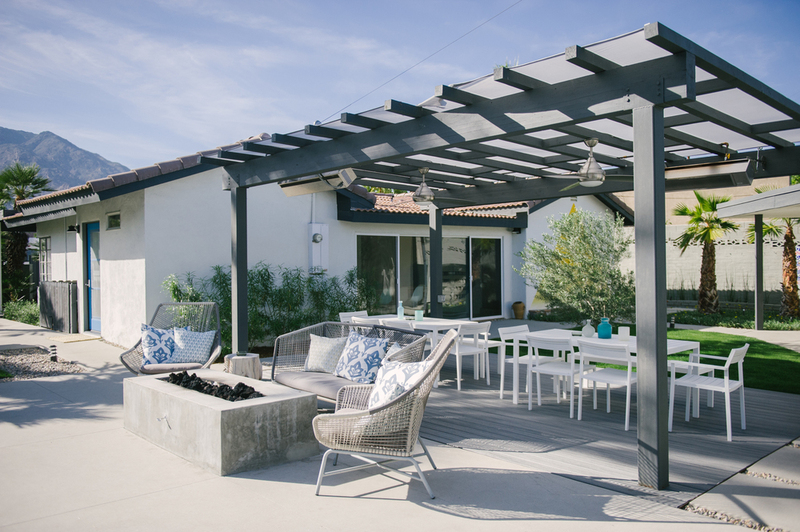 The Junipero is located in Chino Canyon, just a 2 minute drive from the Uptown Design District. Individual suites start at $175 US per night and the entire complex for $1400 US per night. With both private and shared areas, it is a great opportunity to meet and mingle with the other guests. 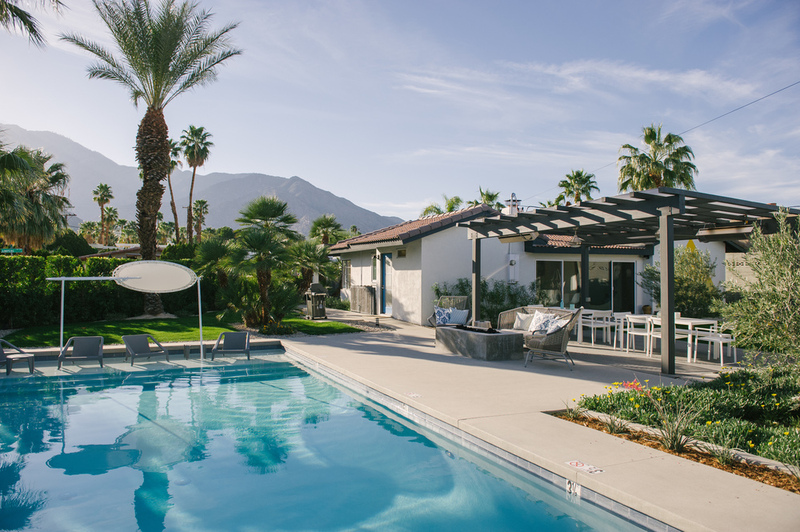 Chino Canyon is attractive mix of property types and architectural styles, beautiful mountain views, along with the proximity to downtown, making this area one of best to stay in Palm Springs. Click here for reservation info or contact The Junipero directly 760-537-0053.